This time of year I get thinking of shooting more and more of the older weapons. This in one of my favorites. That's a nice one, I saw a show last week about older US weapons, the Krag-Jorgensen was one of the rifles spoken highly of, mainly about how well made they are. Have you ever heard this? From the time era of the Krag....."Under a starry flag, we civilized them, with a Krag!" Speaking of when we occupied all of the lands we took from Spain after the Spanish-American War. Was this the rifle you went through "boot camp" with ??? I hadn't John. Thanks for the post. Good one Chris. Sometimes I feel old enough to have. Especially when I hear some of the comments from the Boogie Woogie Google Boys of late. 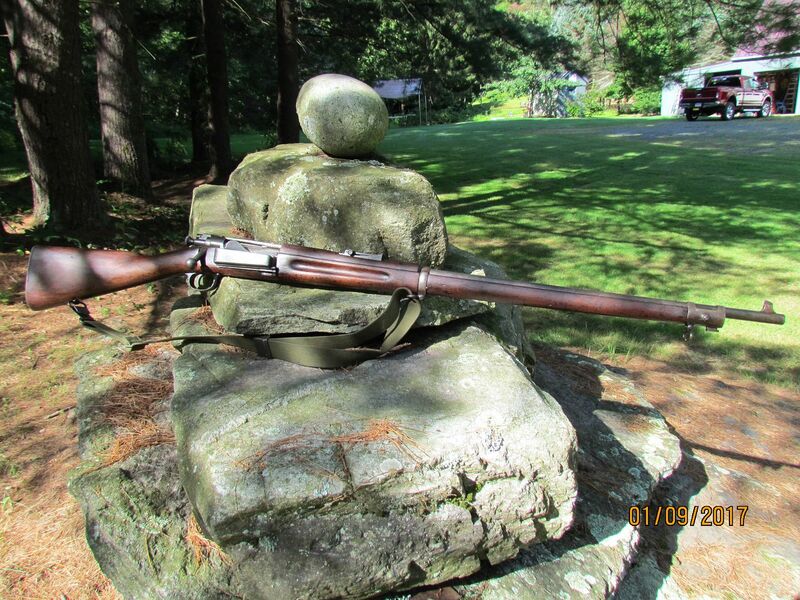 This one came from the CMP a few years ago with they had " the last mail order release of bolt actions in inventory". I jumped in and put my request in for one of each offered and ended up getting service grade Krag, M1917, and a high number 03. When I made it in for one of each I bought a lotto ticket. Yep, out a buck for nothing. I have other Krags, but they are carbines. I'm a fan of the Krag. It lives up to it's reputation as the smoothest bolt action. In Norway and Denmark there is a rifle competition called Stangskyting. This is a timed fire event, duration 25 sec, as many shots as can be fired. Fired prone with a sling and iron sights. 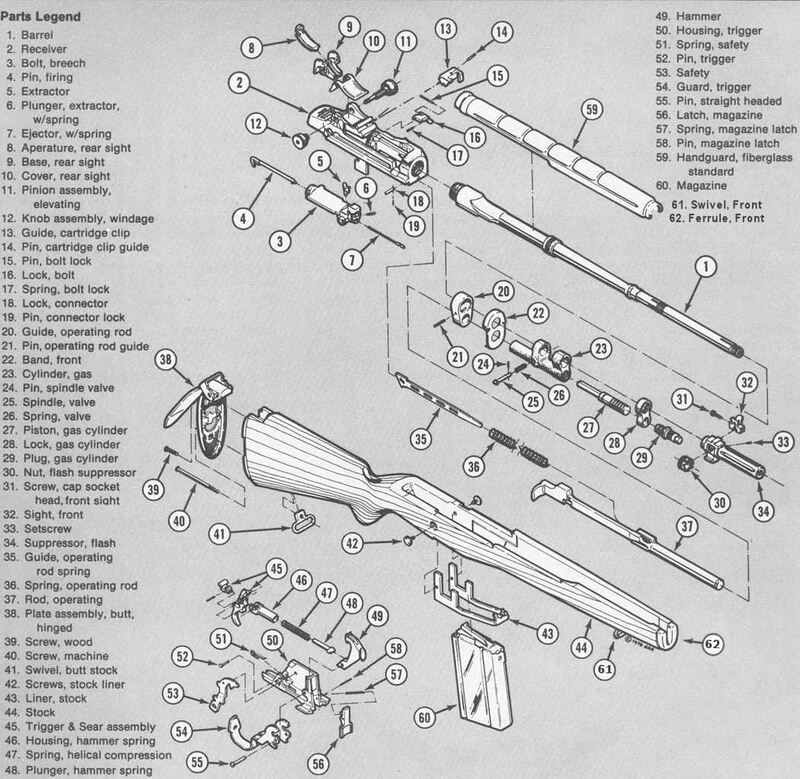 Civilians use the Sauer 200, Mausers and the Krag (5 shot mags). The top shooters can get 20 hits in 25 sec. They keep the thumb and index finger on the bolt handle and pull the trigger with the middle finger. Those using the Krag use a speed loader for the side opening box mag. Caliber 6.5x55 is used. That is an interesting caliber - low recoil but good performance. I've had an itch for a Swedish Mauser in 6.5mm for a while. There are several youtube videos of the events. Electronic targets are used and you can watch the groups building on screen. Interesting to me that these matches are a popular spectator sport with large crowds cheering for their favorites. Pretty interesting, especially the double hookup in the sling. Looks like the guy in the first video is using his ring finger. I have a special place in my heart for the Krag action, I grew up shooting a 30-40 Krag that was sporterized for deer hunting. Last year I handed that same rifle to my uncle so that it would "stay in the family" as grandpa always wished -- I have no kids of my own and my brother is not interested. That sling technique is interesting. Looks especially useful if you have the forward support hand back away from the front swivel. That hand position can be a problem with the USGI slings in rapid fire. Without using the front sling swivel as a handstop the only way to keep the forward hand in place is to grip the forend hard and you end up muscling the rifle with the forward hand. I know the feeling. I have three daughters who all have no use for guns. Luckily Out of my seven grandkids, one grandson will get the pick of the litter when I head for guard duty at the pearly gates. The rest I'm sure my wife will sell, unless she gives them all to my grandson.